Agrestis EVO aromatic oils are natural products. It is produced by the infusion of our dry spicy chilli in the extra virgin olive oil. beans, strong dishes or with a good egg. 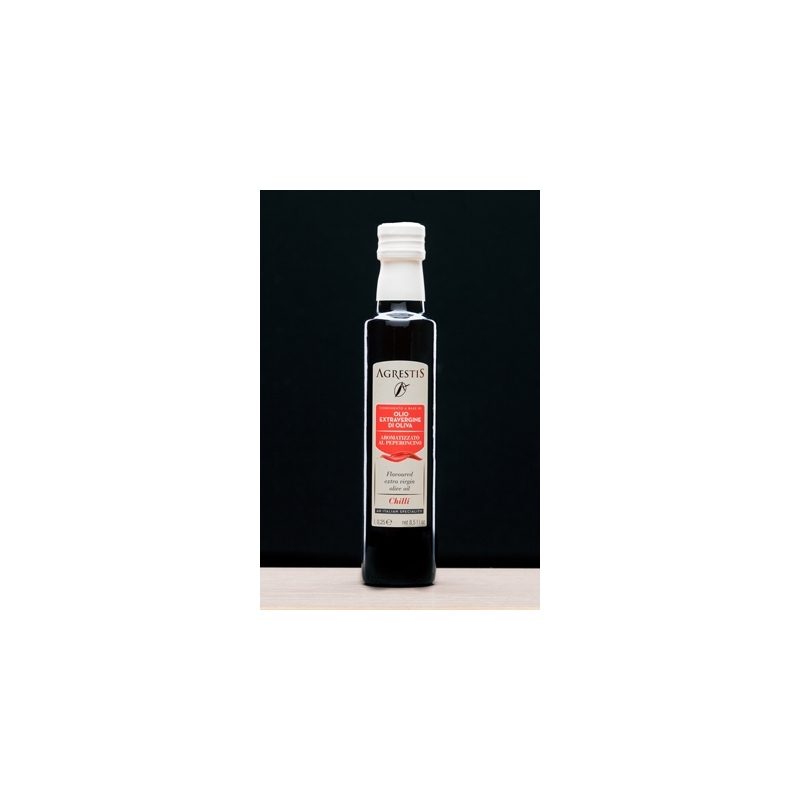 It is excellent for preparing “Amatriciana” and “Arrabbiata” sauces. Try it with pasta, pizza and toasted bread. Combine hot and steaming spaghetti with Chilli EVO oil, pecorino cheese and parsley.